THE CHALLENGE: Introdcue a new Chilean wine into an already cluttered wine market, while elevating the Chilean wine category. THE SOLUTION: Carmen wine had a trick up it's sleeve—the Carmenier grape. 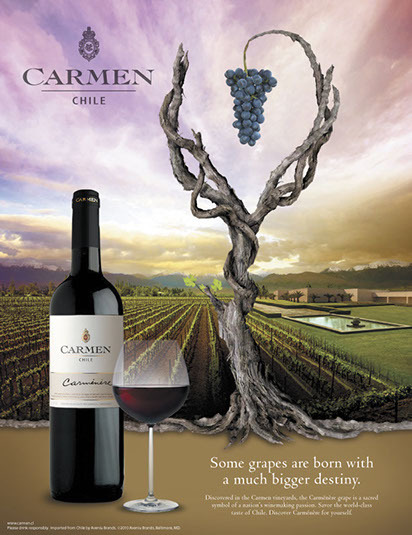 Once thought to be extinct worldwide due to widespread vine disease, the grape was rediscovered in Carmen's vineyards and successfully reharvested for production.